Want to become a champion for change and encourage people around you to donate more by designing a social campaign. ✊Virgin Money Giving is looking for social campaign idea to engage people around you in charitable giving. 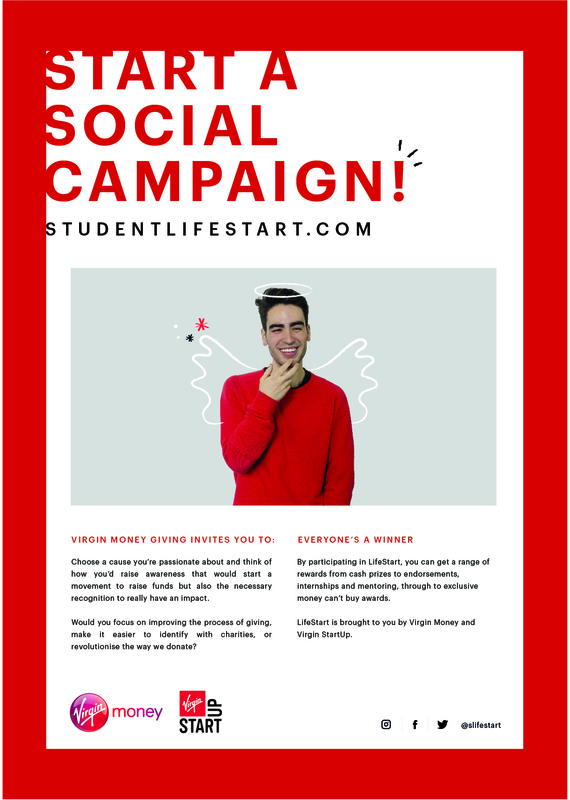 Submit to the LifeStart Challenge before the 29th of October: http://studentlifestart.com/challenges Good luck! Until the end of the month, we’re offering to help students with their submission ideas via Google Hangout. Students have the possibility to sign up for 1 of 15 consulting sessions either every Monday evening or Wednesday afternoon where they can discuss their ideas and their progress with someone from the team. These times can be booked in the shared calendar HERE. We expect, that these will run out very fast, so recommend that students sign up soon if they want to benefit from this.